A classy choice for groups of 14-18 people. 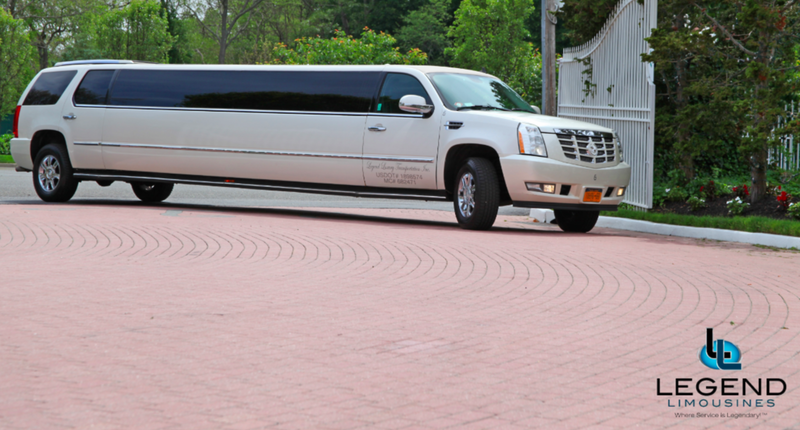 Legend’s 20 Passenger Escalade limousine is a true showpiece and a marvel of modern technology. The exterior of the vehicle is painted the original “White Diamond” Cadillac pearl white paint. The sleek, solid window look makes the vehicle look really sharp going down the road. The interior features fiber optic, strobe, and laser lighting. A high output stereo and CD player, along with four flat screen TV’s complete the entertainment package. The interior also features a beautiful wood floor. The high ceiling makes the inside more spacious and easier to move around. There is even a private VIP seating area in the trunk with its own television!